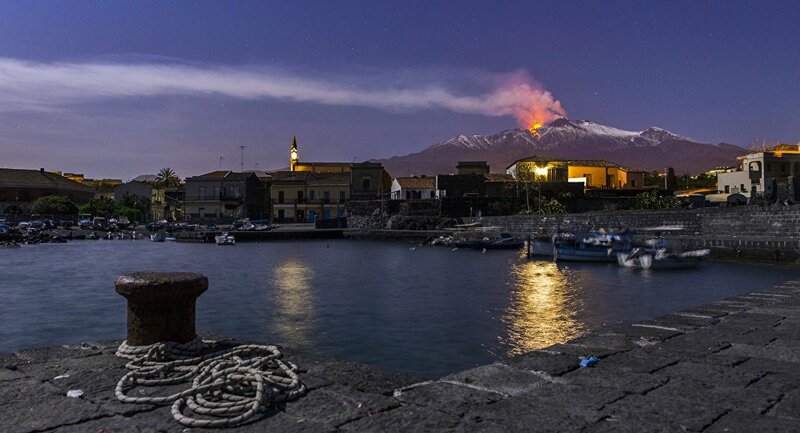 Sicily’s Mount Etna erupted on Monday in a massive explosion spewing a giant ash plume over the island. The event caused the airspace around the mountain to close while over 130 minor earthquakes rocked the region. A 4.8-magnitude earthquake has hit Sicily around Europe’s most active volcano Mount Etna, injuring at least two people, Italian media report. Some buildings were reportedly damaged in what was the latest in dozens of tremors since Etna erupted on Monday. Volcanic ash had earlier covered nearby villages, and flights to and from Catania airport had to be halted temporarily. People on the mountainside were told to escape quickly. The earthquake struck at 03:19 local time (02:19 GMT) on Wednesday. There were reports of buildings shaking in Catania, a city of more than 300,000 people. Officials from Italy’s national institute for geophysics and volcanology (INGV) say the eruption does not seem to be dangerous, though visibility is insufficient to see if there was lava.